I see what you are saying. 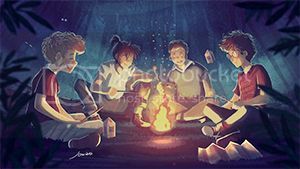 However, as Sirius pointed out, only some people thought that and I would agree that Regulus was among them. DD knew the truth of Voldemort and how far he was willing to go and was apparently disseminating the information because others did seem to realize. I am not sure what Sirius meant though because how did his parents and Regulus figure that Voldy was going to get himself and his blood superior thinking minions power? I think they knew enough to realize that peaceful sit-ins wouldn't have worked and that wasn't his plan. Also, we don't know how much Regulus saw before the Kreacher incident. Did he feel it was fine to mass murder a group of muggles or knock off Order members and muggle born wizards, but drew the line at his house elf? That doesn't seem very realistic, imo. I rather think that all of it was abhorant to him and that Voldy dropped his hint to Regulus about his having made the horocrux at the time the Kreacher incident occurred and Regulus realized that all of the horrible things Voldy was doing would be going on forever due to his immortal plan. So that is why I believe he sprang into action at the time of Kreacher (meaning that is why that event catalysed his action to betray Voldy) - not just because his family elf became involved. JKR did indicate that he figured out the horocrux scenario and then acted (Bloomsbury live chat). So I don't think this was supposed to be another Snape-like tale where a single person (Kreacher) was the sole reason that Regulus acted - Kreacher was no longer in imminent danger or even threatened; Regulus wanted to bring down Voldy according to his note. Last edited by wickedwickedboy; October 9th, 2007 at 6:50 pm. Good point! It's exactly what Harry thought he was doing. Obviously we don't know, but I do envision Regulus as having drawn the line at his house elf, given the way the story is told. Although, I would agree that, since Sirius's words imply that his family would not have supported Voldemort, if they had known what Voldemort was really about, Regulus would not have liked the mass murders, etc. I never got the impression that it was the idea of the Horcruxes themselves that caused Regulus to turn against Voldemort, though. 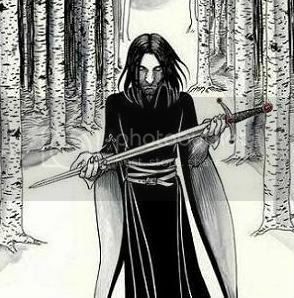 I think that his story is intended as and makes a nice mirror to Snape's - with their stories being different enough not to be redundant. As you point out, Regulus's motivation was not merely saving Kreacher - it was either vengeance or helping the effort to bring down Voldemort. Regarding your question of how the Black family and others like them expected Voldemort to change things without mass murder, etc, I think they expected Voldemort to gain enough power to become, essentially, a dictator in which they would be the ruling class. They didn't know he was really a megalomaniacal psychopath. Yes, that is what I meant; how do you figure they thought he would gain that power if not for causing atrocities of some sort. No one in the wizard world (the many who were not blood purists) would simply kick back and let him rule or follow him. More specifically, what was Regulus thinking he would be doing as a DE? lol. More specifically, what was Regulus thinking he would be doing as a DE? I see Regulus as trying desperately to please his parents. Maybe because of Sirius' abandonment he felt it was on him, or maybe the family line just stuck with him and his sorting into Slytherin helped solidify it. I wonder if he changed his mind about the pureblood cause at the end or if he just changed his mind about Voldemort's methods. Coups d'états may occur without widespread murder. The leader gains power of the government and those who oppose it are exiled or imprisoned for breaking various laws. (Pakistan may be an example of this, though I don't know that many people were unfairly imprisoned for opposing Musharraf. Definitely some were exiled and face imprisonment for returning.) There was a coup d'état in DH and many new laws were instituted. In DH, Voldemort and the Death Eaters supported widespread killing and torture, but that need not have been the case if Voldemort was not what he was and had not created the Death Eater organization to be what it was. I think that's what Regulus and the Black family pictured before they understood what Voldemort really was. Or, they might have hoped that Voldemort would gain power legally, then push in a lot of new laws that would make them the ruling class. That scenario would mirror Hitler, with whom Voldemort has other parallels. As an early Death Eater, I expect Regulus would think that he would have a career in the new world order. Possibly, he was similarly ambitious to Percy and wanted to rise in the ranks of leadership. Well that is an interesting take on it. I guess we don't know how ministers come into power. I got the feeling the position was held for life unless someone was ousted. It just seems strange that the purebloods thought that Voldy would be able to have someone legally ousted and then be asked to take the position of minister. But Voldy was an intelligent manipulator, so he likely came up with a strategy that sounded workable to his minions. I guess we don't know how ministers come into power. I got the feeling the position was held for life unless someone was ousted. Cornelius Fudge was Minister for Magic from 1990 [Y10] through June of 1996 [Y16]. He was elected to the post in 1990 [Y10] after Millicent Bagnold retired. At first he "pelted Dumbledore with owls" (PS5) asking for advice, but over the years he began to consider Dumbledore more of a threat than anything. The page of information about the position is here. It just seems strange that the purebloods thought that Voldy would be able to have someone legally ousted and then be asked to take the position of minister. But Voldy was an intelligent manipulator, so he likely came up with a strategy that sounded workable to his minions. Regulus and the others in his position likely didn't know his specific strategy; however, they believed in his ideals and would have supported his efforts to position himself in such a way that he could seize power. The description above indicates that Fudge was worried that Dumbledore could seize power and take the position of Minister for Magic from him, which I also remember from the books, so it must be possible - after all, if anyone was in a position to know, it would be Fudge. Millicent Bagnold, the predecessor of Cornelius Fudge, retired (this is discussed in OotP - at that time, DUmbledore had a lot of public support to replace Fudge, but was not interested int he position). Fudge himself retired under the pressure of public disapprovel of the way he handled Voldemort's return. So I think chiev's scenario of a coup is quite in line with canon. I also think that the assassination of one person, if necessary, would probably not prove too much for Regulus or his family - it's the widespread and pointless killing and torture I imagine they woyuld have found too much. I see chievrefueil posted the same information! I wonder if he changed his mind about the pureblood cause at the end or if he just changed his mind about Voldemort's methods. I doubt he did. The reasons for his change of heart seem too far removed from that issue, and they are all about the methods. One thing I think Rowling was after in DH was the idea that of course bigotry is evil, and its logical extension is genocide, which is even worse (duh, but it does bear repeating ). But I think she also wanted to show that bigots, even ones that follow psychos like Voldemort, are usually human beings with some of the same emotional and positive impulses we all have, too. In my opinion, the stories of Regulus and the Malfoy family both serve this function. In Regulus we see an example of someone who was raised a bigot and became a Death Eater, who (in my opinon, anyway) died a hero. In the Malfoys we have people of similar background and similar views who are saved by their love for one another. Draco does not die at all - he goes on to live, marry, and send a son to Hogwarts. Nor is it clear that he changed his mind - just that he, too, could not stomach Voldemort's methods. Last edited by arithmancer; October 10th, 2007 at 3:30 am. Ah so then they did vote them into office. Still - Voldy would have had to of corrupted the vote - but I would not put that past him. I also agree that Regulus may not have given up on his blood superiority stance and the methodoloy got to him, Kreacher being the final straw in a long line of atrocious acts. I think his betrayal was heroic also, considering Voldy killed anyone who left - and considering that some had no intention of leaving at all (unless some event - like the Malfoys discovering their family was in danger - came into play). Although, we have no evidence that Regulus would have left Voldemort, if not for his feelings about Kreacher. It's quite possible that Regulus would have disliked Voldemort's methods, but never have been moved to leave without it hitting so close to home. I doubt Regulus was unaware to some Dark Magic. He could've found out about Horcruxes in some book he read. I'm not really sure how, it's really vague. But his family were known as Muggleborn/Muggle haters, and he shared a house with people interested in the Dark Arts. He might've been attracted to it as well. Most likely. Making more than one horcrux is more than "usual evil," so I don't think the idea occured to Regulus. In his note he made it sound like he thought destroying the horcrux would automatically make Voldemort mortal again. I think they didn't really care about each other. They could've gotten into fights with each other, but I think Regulus saw Sirius the same way the rest of his family did. He was a disgrace to the Black family, so Regulus probably ignored him. Because he cared about Kreacher. When he grew up in 12 Grimmauld Place, I think Regulus treated Kreacher fairly well like his parents did. He, unlike Sirius, agreed with the words his parents taught him, and Kreacher had the same views. I think he died because he went into the lake. The potion drove him to get some water, and he died because the Inferi killed him. Maybe. His body is somewhere down there. Does Voldemort need to pull a spell on the body to make it become an inferi or do they automatically become one when they enter the lake? I really don't know. According to Sirius, he believed the idea of purebloods being superior to those that aren't. However, I don't think he was ever evil inside. Once he realized how serious Voldemort was, I think he didn't like joining the Death Eaters, just like Draco. I don't think so. He had a bunch of clippings about Voldemort in his room. And he became a Death Eater long after Sirius became Gryffindor. It was what Voldemort nearly did to Kreacher that lead him to change his ways, IMO. I just don't think the Blacks or any of the families pictures something like the first chapter of Deathly Hallows, with the horror story dinner party. That sort of monstrous scene wouldn't enter their minds, just as the Malfoys are also horrified and traumatized by it. The Blacks, like the Malfoys, were still human, though misguided. But Voldemort wasn't really human anymore - and he was never more than a psychopath to begin with. If you think about Umbridge, and the way she rose to power at Hogwarts, it makes a good analogy to a dictator rising to power in government. And after she paid her dues in OotP, she was given more power under the puppet government set up by Voldemort. She's horrible, too, but her "control" of the Muggleborns is more in line with what the Blacks probably thought would happen, and not the more horrible scenes we have with Voldemort. I missed this post... That cracked me up. Well as I said above, I don't think he changed his stance on the pure blood thing - although it is entirely possible he did (recognizing Kreacher's right as a sentient being to live and be happy). But I definitely think he found the methods Voldy used terrible and I really don't think he approved of killing humans either. I think he went along with it out of fear, but finally reached a point where he just couldn't deal anymore - Kreacher; the last straw event. That was my take on it. Yes I think Umbridge is a good example - until she started in with the Muggle born Wizard persecutions. I think that sort of thing was beyond the ideas of the Blacks and similarly thinking purebloods as well. Voldy's reasoning was extremely tenuous imo - the muggleborns who couldn't prove they had a wizard parent had 'stolen' their magic - that is just bizarre thinking, imo. Last edited by wickedwickedboy; October 10th, 2007 at 4:43 am. Absolutely. History is just full of people entering into what they thought was a just cause and then seeing it turn horribly wrong. My own country, small as it is, is full of such examples. Before the "evil" communists came into power, they were an illegal organisation intent on destroying the truly unfair system that ruled the country and give the working class basic rights such as normal working hours and so on. They were very poor and had to hide in the mountains and woods. This same thing went on to become a dictate of that working class which felt so underpriviledged. And thst's just one example. World histury holds thousands. And it's more than understandable for a 16-year-old to want to be a part of something revolutionary, a cause he could identify with, because he himself was a pure-blood and coming from an old family in urgent need of preservation. He was only sixteen. I certinly wouldn't judge him, especially since we know what he did later and how he died for his house-elf. If that doesn't signify change, I don't know what does. I agree. Regulus is culpable for his choice to join up with the DEs, but I think the note he left behind says it all. He was completely disillusioned with Voldy and wanted him vanquished. I think that is the important part of his tale. There are various views of what inspired him, but they are all possibilities and lead to the same admirable end, imo. Y'know, the name by itself sounds rather corny, IMO. But, the point is, that they were already quite notorious. They were appearing in the newspapers and such, so it wasn't a mild threat by any measure, even when he was considering joining up as a kid. I see it that way too. Regulus was the one that the family had high hopes for. IMO, I think that he was like Draco Malfoy in that regard, except that he was cleverer. I also think that it was the methods that affected him, rather than the idea. I don't think that he was willing to get his hands bloody for the cause. I got the idea that he thought that the war was going to be a lot easier, and a lot less messier. Yes I think Umbridge is a good example - until she started in with the Muggle born Wizard persecutions. I think that sort of thing was beyond the ideas of the Blacks and similarly thinking purebloods as well. I don't think they wanted mass murder and torture, etc, but, by definition, they'd have agreed to persecution of non-purebloods. It's likely that they wouldn't want non-purebloods to attend Hogwarts, hold positions of power, or marry purebloods, etc. Umbridge's tribunal was sending Muggleborns to Azkaban after mock trials. It's hard to know whether they'd have approved of that or not. If Regulus was anything like his mother, and there's no reason to think that he wasn't, based on Sirius's description, he'd have felt that Muggleborns were filth compared to purebloods - by definition, worth less than purebloods. Regulus was turned by Voldemort's treatment of Kreacher, who was his and who he'd known since he was a boy. I think those were the 2 points leading to Regulus's switch - it was not for Voldemort to mistreat his property and he cared about Kreacher. It's very unlikely that he would have acted similarly for someone else's house elf. I don't think it was the principle that bothered him, but the circumstances. Well as there is not canon, I must concede that you may very well be correct. However, my opinion differs. I personally find it a little difficult to credit that Regulus would be convinced to betray Voldemort based on what occurred to his house elf. I agree he would feel it a horrible event and it would affect his sensibilities, however, I feel that if it would have that effect upon him, then seeing a group of muggles die (and participating in doing it) would be just as offensive to him. That is why I believe that he discovered Voldemort's horocrux plan near the time of Kreacher. It is reasonable that Voldy would drop the hint near the time he used Kreacher and so Regulus would find out about it. I think that would be last straw information for Regulus; not only was Voldy willing to carry out all of these atrocities, but he was planning to be immortal and continue with a villianous reign forever. Thus, Regulus determined he would put a stop to it. His note did not speak of Kreacher, but rather of ridding the world of Voldy by making him mortal, so I am inclined to believe that was his motivation. I agree it was inspired by Kreacher, but additionally and equally by Voldemorts methods in the main. When Voldy told Regulus to send Kreacher along, I am of the opinion that Regulus was wary, but willing to do so for the dark lord - perhaps of out of fear, but willing nonetheless. Regulus was wise enough to figure out the horocrux business based on the clue dropped by Voldy, so it stands to reason he was a fairly sharp lad. Thus he would suspect that whatever Voldemort wanted Kreacher for, it wouldn't be a pretty business - he knew Voldy held elves and half breeds and the like in low regard. It would be like asking Regulus to send along a muggle. Regulus would not expect the person to have a nice time of it and possibly even die. That is why I don't think Kreacher's experience came as a surprise to him - rather just an expected atrocity. However, armed with the knowledge of the horocrux, Regulus finally had a means to possibly end the reign of, in his eyes, the evil Voldemort. While one could speculate that Regulus died on behalf of Kreacher, it is also reasonable to assume that Regulus realized he was a dead man walking in any case and there was no need for them to both die, imo. So he made the logical decision to drink of the poison sea and spare Kreacher. That is my take on it. Last edited by wickedwickedboy; October 11th, 2007 at 1:20 am. When Voldy told Regulus to send Kreacher along, I am of the opinion that Regulus was wary, but willing to do so for the dark lord - perhaps of out of fear, but willing nonetheless. Regulus was wise enough to figure out the horocrux business based on the clue dropped by Voldy, so it stands to reason he was a fairly sharp lad. Thus he would suspect that whatever Voldemort wanted Kreacher for, it wouldn't be a pretty business - he knew Voldy held elves and half breeds and the like in low regard. It would be like asking Regulus to send along a muggle. Regulus would not expect the person to have a nice time of it and possibly even die. That is why I don't think Kreacher's experience came as a surprise to him - rather just an expected atrocity. If that was true, why would Regulus agree to let Voldemort take Kreacher in the first place? It seems that, if he was willing to die, either for Kreacher or because he didn't like Voldemort's methods, he'd never have let Kreacher go at all. If he was willing to die based on that principle after the fact, why not before? It doesn't make sense to me. So, I would think that Regulus didn't think of Voldemort as so depraved until he'd used Kreacher in the manner he did - until it hit close to home for him. Yes, I agree with that. However, Regulus knew ahead of time that he was never going to leave that cave, but he went there anyway to avenge Kreacher. So, by that reasoning, he died on behalf of Kreacher, as well. Because before the fact, Regulus didn't know that Voldy had set a plan for immortality into action. He wasn't planning to leave Voldy out of fear (death if he did). So sending Kreacher along was all in a day's atrocious work. At that point, he knew he was putting Kreacher's life at risk, imo. However, later when Regulus found out the immortal plan, he was like, no way dude - not society subjected to this forever. That is when he decided to betray. At that point, he realized he would die. Once they hit the cave and he realized one of them had to die, he elected himself. Why do you feel that Regulus knew ahead of time he was not going to leave the cave? I am not doubting you, I just don't remember any canon about that bit. Nonetheless, he either knew before, or when he arrived he figured it out. Either way, he went, not to avenge Kreacher imo (because he'd already committed him to death earlier in the program) but rather to ensure Voldy's mortality - that is what he wrote in his note. While he did die instead of Kreacher, I would respectfully disagree that he died on his behalf or for him in a sacrificial type of deal. I think if Regulus thought he could have gotten out alive in the end (escaped Voldy's clutches) Kreacher would have found himself having another drink - after all, it was worth the risk, Kreacher had managed to live through it once. But since Regulus was going to be sought and killed by Voldy, he elected to die by poison rather than whatever horrible death Voldy would meter out. That in no way denigrates Regulus' heroism in my eyes. He did betray Voldy imo, with an eye to seeing him vanquished. However, I just think he picked his own means of dying rather than leaving it up to Voldy. Last edited by wickedwickedboy; October 11th, 2007 at 2:58 am.